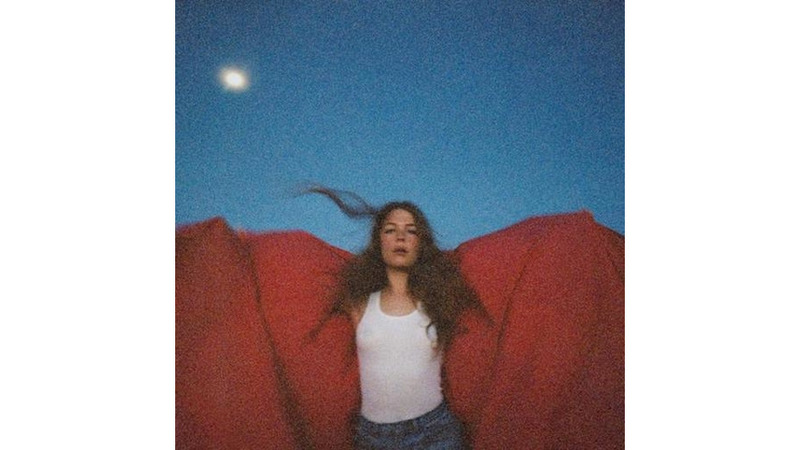 Soulful indie-pop singer-songwriter Maggie Rogers has been selling out concert venues before she even released this debut project. After gaining wider attention through a viral video in which Pharrell Williams nearly started crying when he heard the then-unknown NYU music student’s early demo of “Alaska”, Heard It In A Past Life has been in the making since 2016 – and Rogers certainly didn’t disappoint. While it might not be the most artistically innovative debut ever, Rogers knows exactly how to play to her strengths. The combination of her mature, emotive and deeply soulful voice with the upbeat percussion of HAIM’s brand of indie-pop and the songwriting approach of a folk or Americana singer creates a new and exciting mix of established forms – as Pharrell put it in the video, like the “genius” of a Reese’s Peanut Butter Cup. There’s not a single bad track here, and Rogers solidifies herself as someone to watch. Rogers and her producers have mastered the art of the slow build, perhaps demonstrating it the best of all on the energetic opening track “Give A Little”, a deceptively complex track where Rogers layers her angelic backing vocals with a clacking percussion line that keeps getting more and more involved as the track goes along. Everything comes together perfectly, from the dynamic walking bassline to the catchy high-pitched synths on top. It’s funk, it’s pop, it’s indie, and it’s a little gospel – there’s even a distorted guitar that roars in at the end. A track like “The Knife” is similar, Rogers’ backing vocals adding such a dimension of soulfulness that you don’t often hear in the breathier singers that usually deliver this kind of material, all the while the music behind her keeps offering these rhythmically complex and instrumentally varied embellishments to really highlight just how special of a vocalist they belong to. Rogers’ natural, seemingly effortless talent here is something to behold. You can tell that a pop mastermind like Greg Kurstin was heavily involved with the project, lending his production to most of the tracks here – these are all some maddeningly catchy pop melodies, but there’s so much more to them as well. There’s always something that pops into the mix that surprises you, like when those Lorde-esque ringing, clipped choral vocal samples suddenly turn the rapid-fire vocals and metallic synths of “Overnight” into something much more grandiose. While I wouldn’t usually be a fan of including a years-old track on a project like this, the placement of “Alaska” in a premium position early in the tracklisting is actually very welcome because you can see where she began, and how she applied those aspects of her early work to a more dynamic and exciting whole. It’s easy to see what was so appealing to music producers in the first place, the more minimal track putting more of a spotlight her vividly descriptive lyrics, the odd instrumental flourish all you need sometimes to complement that beautiful falsetto on the chorus. If “Alaska” is Rogers at her folksiest, standout tracks “Say It” and “Fallingwater” showcase her at her most soulful – in completely different ways. The former is straight out of the 90s – you can tell how much Rogers loves Erykah Badu and Lauryn Hill, who she was apparently raised on – those huge percussion hits and rapidly descending synth lines that build up to the harmonized, emotive chorus where she reaches all the way to the top of her register are such a perfect exercise in drawing out tension and finally releasing it in a payoff that just makes you want to get up and move, Rogers adding these impressive little vocal moments overtop as the track progresses. “Fallingwater”, on the other hand, takes more of the gospel route that is so naturally rooted Rogers’ expressive vocal delivery. Assisted by another impeccable pop producer in Rostam, it’s a poppier track (minus Rogers’ most forceful vocal performance yet) that takes a turn halfway through. The tempo slows as a backing choir comes in, singing at a lower, supportive pitch and repeating a catchy, almost chanted couple of lines as the added space in the track allows Rogers to add some more diversions to her original melody. Quite a few of these tracks had actually been released much earlier, but the cohesiveness in sound of this project is among the best I’ve heard in a while. She goes to so many different places, but her blend of genres and core sonic themes of heavy percussion, triumphant, soaring synth hooks and layered harmonies keep things anchored in a consistently enjoyable musical world. “Past Life” might be the only true diversion, but the placement of a more somber piano ballad, just to completely reinforce to the listener how spectacular of a vocalist Rogers is without the complex production tricks surrounding her, is a great addition to the middle portion of the project. 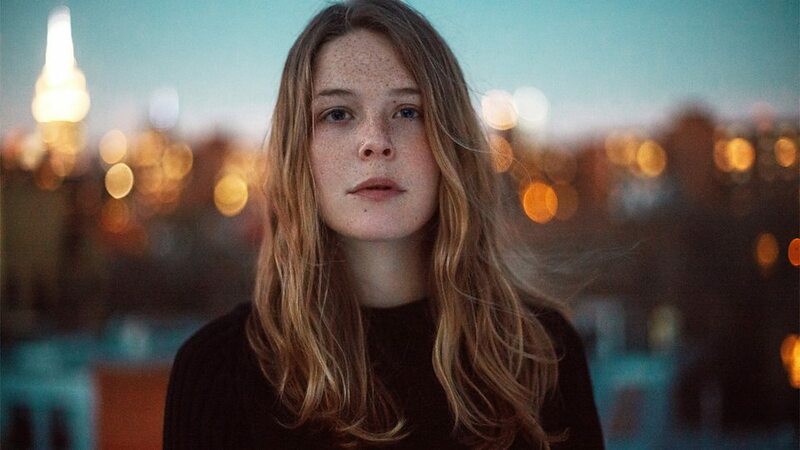 The only track on here which isn’t an essentially flawless execution of exactly what Rogers was trying to achieve here might be “Burning”, a celebratory, life-affirming dedication to her happy relationship where she sacrifices that constant, rhythmic flow for a more traditionally indie-pop joyously half-shouted chorus. Rogers recently retweeted a quote she gave in 2016 where she said she wanted to “make dance music, or pop music, feel as human as possible”, and that’s exactly what she’s done here. There are certain debuts that are so fully realized and individual that you know they’re going to do huge things. The last time I felt like this was with Billie Eilish. 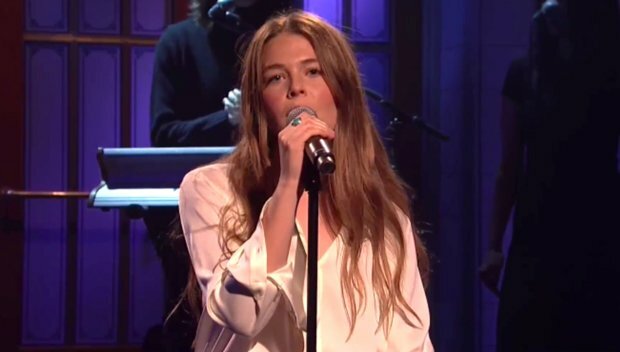 Maggie Rogers is up next. The newly minted king of woke rap enters another instalment into his less formal series of mixtapes after breaking through to the public in a major way with his latest album Everybody. While Logic does show both a hilarious level of self-awareness at how annoying his preachiness can be and a large sample of the technical skill we know he possesses, Bobby Tarantino II falls short of its predecessor by turning up the blatant copying of other successful rappers he has always been accused of to the most obvious degree yet. As well, it’s strange to hear Logic back on this material he acknowledges himself is fun and meaningless in that earnest, awkward, high-pitched voice we heard singing about suicide prevention. His creation of an album that was trying so obnoxiously hard to spread a message has created a no-win situation for him. As Pitchfork wrote, “Once you’ve gone full Macklemore, you can’t walk all that sanctimony back”. The project opens with a Rick & Morty skit in which the straightforward Rick prefers “Mixtape Logic” – criticizing “oooooh, equality” – to the idealistic Morty’s “Album Logic”, and it’s honestly great to hear how self-aware Logic is about his own music, and there really are some tracks here that call back to the quality of his music before the fame. Opening track “Overnight” brings to mind the standout track on the first Bobby Tarantino mixtape, “Super Mario World”, as Logic addresses his detractors over a fuzzy video game-esque synthline and trap beat. “Contra” feels like classic Logic as well, his delivery energetic and his speedy flow relentless. “Indica Badu” is a great microcosm for Logic’s career recently, the verses displaying the greatest extent of his enormous talent and technical skill – even bringing out what might be featured artist Wiz Khalifa’s career-best verse – before ruining it with a basic hook inexplicably delivered in the most annoying possible falsetto voice. Sometimes I feel like I criticize Logic much more than he deserves, since it is clear that his potential is limitless. Even on projects that are as solid as this one, his brief deviations into his worst tendencies are frustrating. Logic has always been accused of lifting ideas from his contemporaries such as J. Cole, Kendrick Lamar and Drake, and it seems like his latest fascination on this project is none other than Travis Scott, as half of the project is filled with the eerie, laidback trap instrumentals and melodic Auto-Tuned yelps he is known for, particularly on “BoomTrap Protocol” and “Wizard of Oz”. He shows an affinity for jumping on trends in a different way with the awkward Marshmello collaboration “Everyday”, the watered-down Chainsmokers-lite EDM instrumental not complementing Logic’s awkwardly sung hook. Even when Logic is on a mixtape where he acknowledges that he’s going to flex and little else, he still feels the need to insert a few lines about self-love, being a good person and the like that weren’t present on his earlier projects. Although these are just side deviations on this project, his surface level approach to these topics is still annoying. The majority of the tracks on this album are actually pretty impressive in comparison to Everybody, and even though I try to separate the art from the artist as much as possible, hearing the tiny inklings of his pandering, public persona on a project like this brings me out of the experience. SoundCloud rap pioneer Lil Yachty, still only 20 years old, releases the followup to his major label, genre-shifting debut Teenage Emotions with a sequel to his successful Lil Boat Since Yachty was truly one of the first people to popularize what has become commonly known as mumble rap with his endearingly haphazard approach, the genre has shifted a bit more towards the “sadboi” stylings of people like Lil Uzi Vert and XXXTENTACION, who I’ll cover later in this review, passing Yachty by. Lil Boat 2 goes a bit darker than his previous work in response, foregoing his melodic exploits for eerier instrumentals and straight rap bars. While he makes a significant improvement in this area, one that suffered on his previous projects, the loss of Yachty’s distinct personality on this project brings it down. There’s always something to be said for the sheer sense of joy to be making music Yachty communicates through his excitable and childlike delivery. I used to say that it made up for Yachty’s lack of musicality, but that has certainly improved across the board on this project, as he is capable of pulling off speedy triplet flows without falling off the rhythm as he had in the past. Tracks like “BOOM!”, “DAS CAP” and “POP OUT” are incredibly fun for this reason, Yachty repeating the title as a high-pitched adlib in the background while rapping better than we’ve heard him before. Yachty’s lyrics are absolute nonsense, but it honestly fits this persona at this point. “she ready” is easily the best track here, and possibly the closest track to his older style, a falsetto melody in the chorus set over another great addition to the flute trap instrumental trend. “MICKEY” shows his newfound harnessing of his rapping ability, holding his own with Offset and creating a flow I haven’t heard before in the chorus by drawing out his final syllables. Yachty’s attempts to get grittier on this project often leave his tracks a bit empty. The most appealing thing about him in the past was his ability to create joyful, catchy melodies with a positive and idealistic outlook on life. In comparison, a track like “OOPS” sees him drop his voice lower to match the featured 2 Chainz over a very minimalistic trap beat set to nothing more than some low, rolling bass notes. There’s not enough to hold his slightly off-kilter flow in place. Yachty was never meant to follow trends, so seeing him veer closer to the patented and popularized Migos sound is disappointing. Both Quavo and Offset appear here, and “GET MONEY BROS.” sounds more like a Migos leftover than anything else. There aren’t many new concepts to be found here, and even though that is what drew me to Yachty in the first place, his relentless attack to these tracks and clear improvement of an area of his work contribute to another respectable project from him. Now that he’s proven himself here, can we get back to those tropical, fun tracks? Favourite Tracks: she ready, MICKEY, DAS CAP, BOOM! Least Favourite Track: GET MONEY BROS. Diverse and controversial emo rap enigma XXXTENTACION’s sophomore album expands him into the mainstream even further, improving his songwriting ability and singing voice from the disjointed and disappointing debut 17 despite his insistence on keeping many of his tracks infuriatingly short, ending before any concrete ideas take off. Emerging onto the scene with shockingly distorted and aggressive tracks like “Look at Me!” X has since reverted to folk and emo-rock emulating guitar-based tracks with depressing lyrical content regarding his personal life and his own issues, of which he has many highly publicized examples. While X certainly shows the ability to pick out a great melody is there, proving he’s much more than we initially thought, there are far too many terrible and confusing musical decisions across this project for it to be truly enjoyable. X’s music is too much of a disturbing cry for help at this point. Previously we only heard X’s singing voice on some lo-fi, depressed, uncomfortable moaning melodies but he certainly finds a few places to hit his stride as a songwriter and vocalist here. The track “Moonlight” is incredibly catchy, set over a unique glitchy synth instrumental – I really wish it was longer. This transitions into his first top 10 hit, “SAD!”, the plaintive melody of which has clearly resonated with people despite the uncomfortable message disguised within that hits a little too close to the abuse we’ve heard he’s capable of in the news. The chemistry he shows with Joey Bada$$ on “infinity (888)” is pretty undeniable as well, X dropping some rapid-fire triplet flows over a boom-bap instrumental featuring a melancholy, distant saxophone. Despite the successes he finds on this album that weren’t present on the dismal 17, there are still quite a few moments where he takes the vibe of that album and escalates it to an even more obnoxious place by fleshing it out into what is … well, ALMOST a full song. Opener “ALONE, PART 3” is more of the same whining over sad guitar patterns, whereas X goes full screamo on tracks like “Floor 555”, reminiscent of his early work – the level of anger he displays here is genuinely terrifying and worrying as he blows his voice out on the chorus – as well as the Travis Barker-featuring “Pain = BESTFRIEND”. These just leave me hoping X gets some serious help. The right way to do this is “the remedy for a broken heart (why am I so in love)”, which sees the trademark folksy guitar patterns juxtaposed with a faster flow from X and a few sparse trap hi-hats that represents the first time he convinced me that this genre-mixing is possible. The back half of this album is a complete mess of genres that just alerts me to X’s instability more than anything else. He brings on 13-year old Matt Ox on “$$$” for an intolerably Auto-Tuned hook and disappears for most of the track on “I don’t even speak spanish lol”, an extremely basic reggaetón track that shows … that X heard “Despacito”. The title ? is quite appropriate, since it is never quite sure of what it is. The real thing that will keep me from returning to the project, however, is just how real X’s pain sounds on this project, and it is impossible to empathize with him. His unhingedness creates something worthwhile on a few brief occasions, but mostly just creates messy exhibitions of his sadness and anger that leave me concerned.